“Excuse me, miss.” Rachel turned, startled, at the man’s voice. “Your father will meet you in the hallway,” he said, bowing slightly before disappearing. Nodding to the empty room, Rachel smoothed her dress for the twelfth time. She took another glance in the wide mirror before heading for the door, pausing before the threshold. She thought of the boy who used to visit the Wagon Works Grille at Silver Dollar City, where she worked through the summer over three years before. “Excuse me, miss!” he would call out, seating himself at the same table every afternoon. “Excuse me, the ice machine is out of ice!” he said with a smile. He would often find any excuse to talk to her, usually by bringing up anything in the restaurant that required her attention. “Well would you like to help me fill it back up?” she playfully responded. Small moments like these quickly became the highlights of their day. That was the summer of 2011, when Rachel joined the Navigators in Branson, Missouri. west, but so had several other students. The camp was fully staffed by March and could not offer a position until the following year. Rachel made plans to stay in Tennessee for the summer, but that soon changed after she drove her friend Callie to Nashville to meet visiting family. In the past five years, I have become an orchid expert. Not an expert at growing, potting or getting them to bloom. Only in buying them. The price of orchids has dropped so much that even a person of modest means who loves flowers can now have them placed inside her home. When the blooms die, I take the plant to the orchid graveyard in the basement. Sometimes they surprise me and will bloom again, in about 6 to 8 weeks. Other times the blades dry up, turn yellow and fall to the floor. In the summer, I force non-blooming outside and give them a squirt with the garden hose when I water my planters. Amazingly, some of these will perk up and rebloom. They are not as pretty as the ones in the store because by this time they have insect damage on the leaves. I’ve heard it’s always good to give orchids a shock; when they come to live with me, they can expect nothing but shock and awe. I love how an orchid grows the floating petals on a gracefully tall, slender stalk. This leads to an exquisite flower composed of three inner petals and a cupped petal distinct from the rest. Labellum, inflorescence and sepal–the names sound as exotic as the plant. 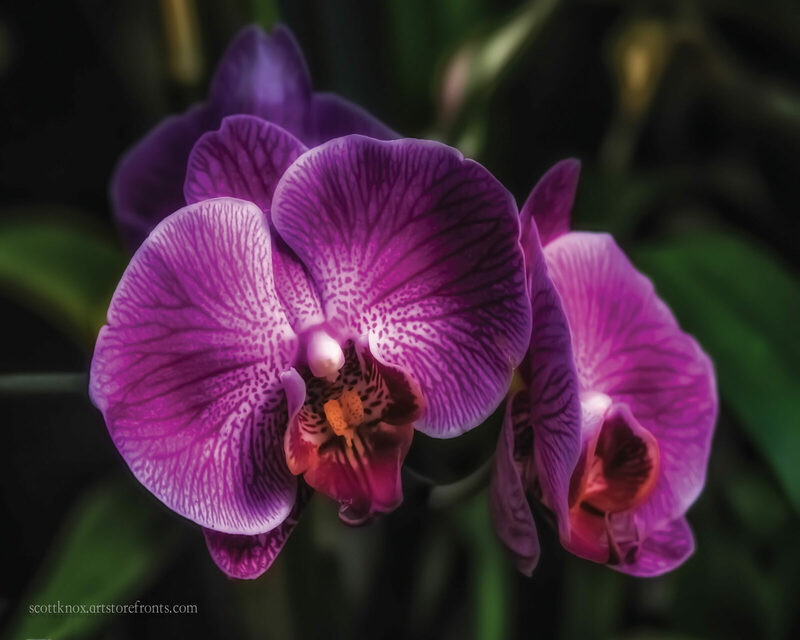 Orchidaceae is arguably one of the most stunning and elegant of flowering plants known to man. One hundred and twenty million years ago, when dinosaurs roamed the earth, a magnificent flowering plant came into being—the orchid. Evolution led to the demise of many plants and animals, but the orchid flourished, thriving on every continent save Antarctica. Orchids have adapted to live in all kinds of environments: mountains, bogs, grasslands and rainforests. At least 35,000 orchid species now populate the planet, and there is always the possibility that an unknown species still awaits discovery. Orchids attract pollinators for reproduction by several ingenious methods: scent, mimicry and stealth. Orchids with sweet scents usually attract bees; those with a rancid smell lure flies. The orchid can also draw pollinators through visual mimicry, imitating insects including bees and butterflies with the patterns on its petals. We always have hummingbirds come to our sunroom window and look in at the beautiful, delicious-looking orchids. For centuries, the orchid has been a symbol of love, luxury and beauty. To the early Greeks, the orchid represented virility, and the Chinese called it “the plant of the king’s fragrance.” During the Middle Ages, the orchid was considered an aphrodisiac and was used in love potions. Serious orchid collecting began in the 18th century, but because of their rarity at the time, only a few botanists and wealthy amateurs could enjoy them. A single orchid reportedly sold for the equivalent of thousands of dollars. Today we can buy them for about $16.00 at our local grocery or big box store. Avoid over watering, which leads to the demise of many more orchids than under watering. Constant wetness will cause the roots to rot, which leaves the plant without a means for taking up nourishment. This then causes the leaves to droop and will eventually kill the plant. “Evenly moist,” while the most commonly given advice on watering, is the hardest to explain. Because most plants are grown in plastic containers, a good diagnosis is the weight of the plant: heavy, does not need watering; light, does require watering. With a little practice, you can easily tell the amount of moisture remaining in the container by the weight of the plant in your hand. Some people like to place their pots on “humidity trays” or in trays or saucers of gravel or pebbles and water. The pot is placed on the pebbles above the water line. This helps to ensure that the base of the pot is not immersed in water. It increases humidity for the plant and provides some air circulation under the pot. Currently my home humidity is about 36, which is way too dry for me or anything growing. If you are not a serious orchid grower, then you can follow my lead. All orchids will take the ice cube watering, three cubes once a week. I usually do this on a Sunday. Three ice cubes gives them enough water without the dread of overwatering. When shopping for a new plant, look at the proportion in relation to the container. It should have roots in the media, and the blades should be clean and unblemished, turgid and medium green color and free of visible pests. Petals should be lustrous and held well above the foliage on a strong, well-supported spike. They should be unblemished and free of fungal spotting, and most important have some buds yet to open (never, ever accept a plant with flowers open to the tip of the spike, as it is impossible to judge flower life after all flowers have opened). If you have had trouble with orchids in the past, it was probably due to bud drop. This again could be under or over watering. Be careful of temperature extremes and rapid temperature changes (heating vents or air conditioning blowing directly on the plants, so pay attention to location). I also never buy an orchid when the weather is extremely cold. Just getting it out of the store, into the car and then back into the house could be too many temperature changes. If you need to change the growing location–like you walk to the basement and you find one of the lost orchid boys trying to rebloom–please, by all means, carry this heroic guy back upstairs where you can enjoy it. But just to be sure, wait until the flowers open first. For more information on orchids, please check with the American Orchid Society. They will give you tips and advice on successfully growing orchids in your home. But if you just enjoy the beauty, I give you permission to buy a new one every two months. The birds are singing sweet melodies, vibrant flowers are blooming and the coolness of winter is fading into the welcomed warmth of spring. For most of us, these familiar sights and sounds mean spring is finally here, but for photographers, it means it is time to cue the wedding bells. Wedding season has officially begun. 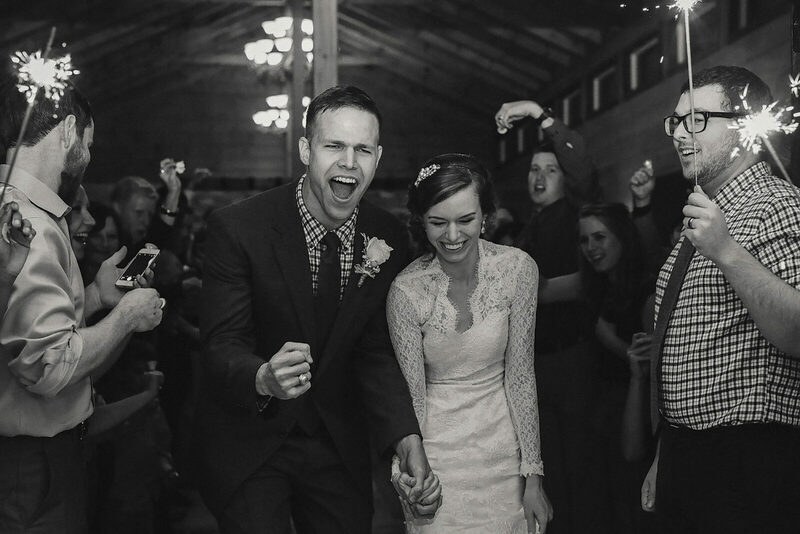 McMinn County native, Ben Finch, is an expert professional photographer who captures all of the heartfelt emotions that surround the most important day of a person’s life. Over the years, Finch has covered many weddings, but there are some that seem to stand apart from the rest. One of Finch’s most breathtaking weddings was actually shot indoors at the Tennessee Theatre. WBIR Channel 10 news anchor and McMinn County native, Beth Haynes, was married to Seth Grossman at the beautifully renovated theater. Ben Finch says, “It was a beautiful wedding. Dr. Bill Snyder played the great Wurlitzer, and Russell Biven announced them to the congregation and did a scripture reading.” Every shot from the wedding captured the stunning beauty of the day. From the wedding preparations to the ceremony and reception, every intricate detail was represented throughout the photography. Finch was also able to scope out a perfectly lit alley across from the Tennessee Theatre for a few outdoor shots. As a photographer, Finch takes great inspiration from the JFK era. His personal style reflects timeless, classic and nostalgic beauty. “Twenty-five years down the road, I want my photos to be as relevant then as they are now. I try to focus on things that inspire me most.” Viewers truly feel as if they have stepped into a real life fairytale with every detail perfectly in place. The Haynes wedding was truly a spectacle to behold of special, magical moments captured in time. Exquisite beauty, the aroma of vanilla charm and the spacious complexity of a manor. 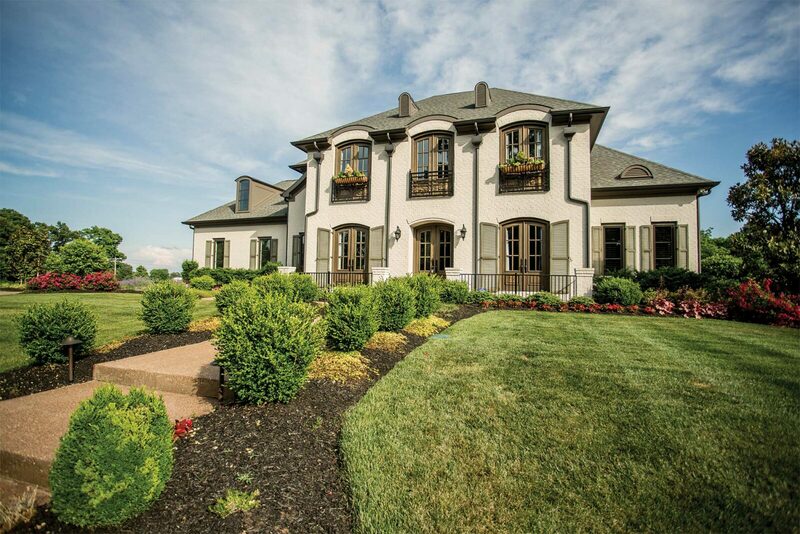 Designed by Jack Herr & Associates and built by Brookwood Construction & Engineers, this stunning home is one of the most beautiful in West Knoxville. The current residents, Cheri and Mark Rosenbaum, were responsible for the lavish and cozy interior design. It features an open-design floor plan and has a scenic view of the Appalachian Mountain Range. This could never be considered merely a house; it is very much a home, and one cannot help but feel at home when taking it all in. 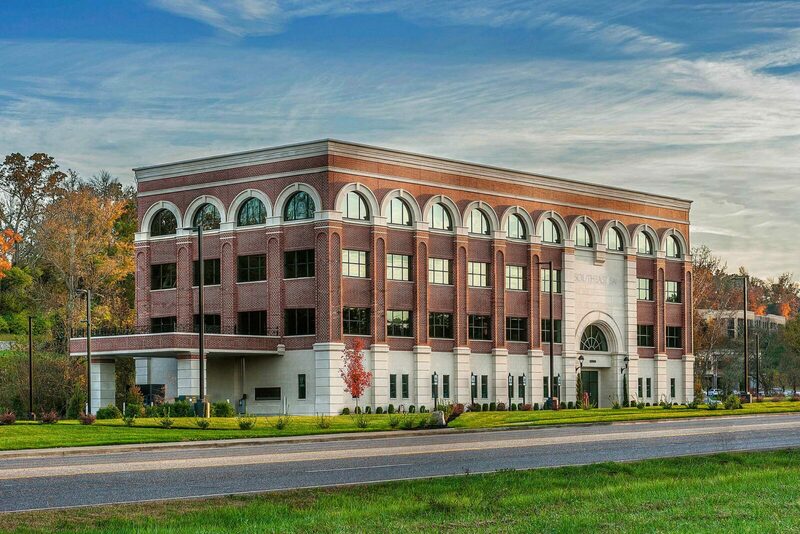 This property is situated at 815 Hammock Lane and is located in Farragut’s Bridgemore subdivision. The Rosenbaum’s have decided to put their stunning 4-bedroom, 4,922 square foot home up for sale. If you are interested in taking the time to view this awe-inspiring property, please call Gables and Gates Realtors at (865) 777-9191. For more information on Bridgemore or other home buying opportunities, visit them online at realestate.gablesandgates.com. David Farragut was born near the Holston River, about two miles off of what is now Campbell Station Road. His birth father, a Spanish merchant who had aided the American Colonies in the Revolutionary War, gave him up for adoption after his mother passed away from a case of yellow fever. His adopted father, a friend of his birth father and naval officer by the name of David Porter, would be his guardian for the rest of his young life and implant in young Farragut the seed of duty and greatness that would soon spring into fruition. Because of this and out of sheer admiration and respect, young Farragut would change his first given name of James to David in honor of his adopted father. David Farragut’s young naval career began most prominently in the Caribbean, where he spent many years on warships fighting off pirates and raiders who attempted to rob vessels of their wealth. He also served in the Mexican-American War as a commander of the USS Saratoga. His skills in tactical naval combat were only paralleled by his rapid promotion within the Navy, and ultimately, he found himself a captain. He moved from his home in East Tennessee to Virginia, where he was stationed before the event that would define his significance in the time to follow: the beginning of the Civil War. Though he lived in Virginia and was born and raised in Tennessee, David Farragut openly opposed the idea of a Confederate State. When President Lincoln called troops after the fall of Fort Sumter, Farragut very openly and publicly declared that the President had every right to do so. He also stated that the majority of Virginians and Tennesseans alike were not in agreement with their Confederate governments, and that the majority of these citizens were actually being forced against their will into confrontation with the North. Though he had gained a prominent reputation within the Navy, Farragut’s claims were met with contempt by his fellow Southerners in the government. He was asked to leave Virginia, which he did with much haste, fearing a violent consequence was in store for him and his wife if they refused. After his move, he immediately requested a position in the Union’s Navy. Primarily, he was granted a title on the naval council, as the Union naval officers were understandably wary of this Southern officer’s interest in the cause. Farragut never complained or offered resistance; he did his duty well. Within a few short months, the Union’s battle strategists had decided that based on his credentials, David Farragut would be best-suited for their most important naval endeavor in the war: the bombardment and capture of the city of New Orleans. New Orleans: the teeming city playing host to the mouth of the mighty Mississippi as she spills out into the Gulf of Mexico. One of the main ports for the Confederacy, by far one of the richest cities in the South and the gateway to the Mississippi, which was crucial to the Confederacy’s movement of supplies. This was Admiral Farragut’s goal, what he was destined to do. He would take the city of New Orleans for President Lincoln and the North. He was awarded the title of Flag Officer and amassed a fleet off the coast of Florida, which he then sailed down just outside of the port of New Orleans. Through heroic bravery and expert tactical ability, Farragut was able to take the port of New Orleans and the surrounding areas, giving the Union land troops a gateway into the city and blocking Confederate supplies from the Southwest. It was in this series of battles that he would declare his famous words. When told to use caution in maneuvering the river ahead due to the numerous torpedos the Confederacy had planted for the incoming Union fleet, he dismissed the warning, declaring quite boldly and famously, “Damn the torpedos! Full speed ahead!” This victory would be a definitive battle in the Civil War and would be the greatest accomplishment of his life. David Farragut continued his dedication to the Navy after the war. After his heroic capture of New Orleans, he was promoted to Rear Admiral, the highest honor in the American Navy at the time. In December of 1864, he was the very first U.S. officer in history to be granted the title of Admiral of the American Navy, leader and commander of all U.S. naval forces. This title he held until his death in 1870. 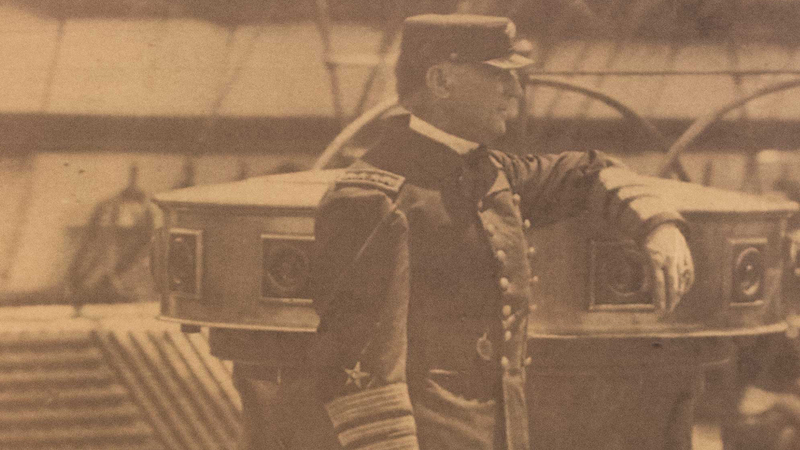 Admiral Farragut was not simply a man: he was an inspirational leader, bold and fierce. He had that Southern Tennessee pride found in many Tennessee Volunteers, but he also had the strength and fortitude to discover and fight for what was right. Rarely does the common man or woman dwell on the past, remembering those men and women who have shaped the world around us. So today, for all of us who dwell in Farragut, let us remember the great man for whom our town is named: David Farragut, the first Admiral of the United States Navy. 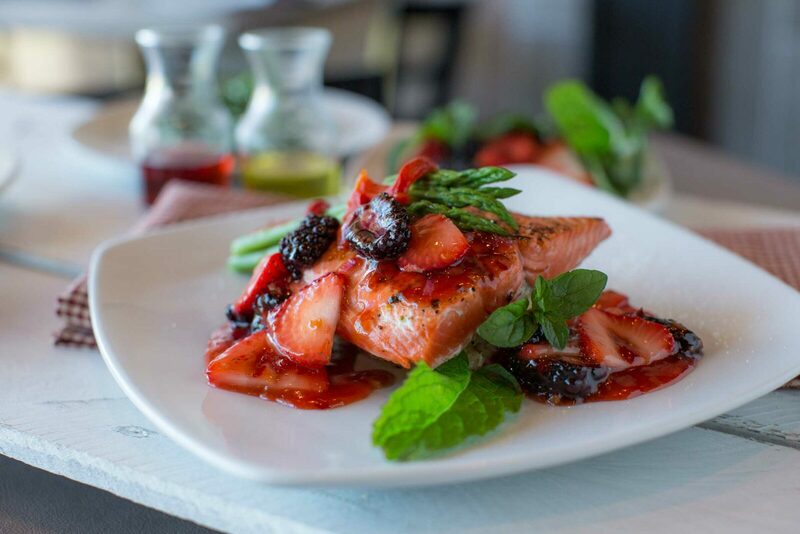 Being the Chef of a restaurant that uses seasonal foods to inspire the menu, it is important to understand that making the most of spring’s great produce means letting the flavors speak for themselves. The season’s first harvest after a dormant winter will bring bright fruit flavors from strawberries, blueberries and kiwi. The season’s vegetables to take advantage of will be sugar snap peas, spinach, asparagus and artichokes. You ate them in January, they were flat and bland—passable, but nothing to write home about. Now, you take a bite from one grown half a mile away and in season, and it is spectacular—sweet, juicy and flavorful. In this particular instance, we are talking about strawberries, but we could say the same thing about a dozen produce items you might find at your local farmer’s market now. ‘Tis the season to eat fresh, as the tender new growth of spring ripens. So why settle for “so-so” when you can savor the sensational? Consider the benefits of eating foods at the peak of their season. Seasonal foods serve up the most flavor and pack the biggest nutritional punch, not to mention they’ll boost your budget, and these foods are tied to the special days and seasons of our lives: sweet young vegetables that accompany spring’s first warm day. As consumers today, we are very lucky in some respects. We have the ability to enjoy the seasonal rhythm of life by purchasing locally-grown seasonal foods. The following is one of my favorite chutneys to serve over chicken, fresh seafood or roasted pork loin. Food can be a spiritual experience. I want to encourage you to enjoy the fellowship with your friends and family this spring and this season of your life.